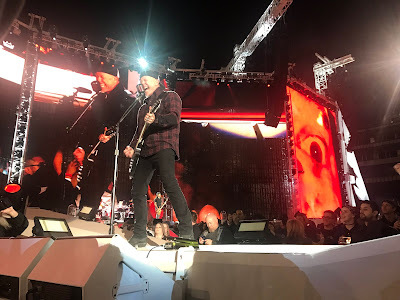 Metallica streamed the final rehearsal before the launch of their North American tour via Facebook Live from M&T Bank Stadium in Baltimore, MD on May 9, and official video from the event is available online. Metallica will launch their first run across the continent in eight years at the same venue in Baltimore on May 10. The group will be joined by Avenged Sevenfold and Volbeat, with Gojira on board for select dates. “Hardwired…To Self-Destruct” recently achieved platinum status in the US for sales of 1 million copies.